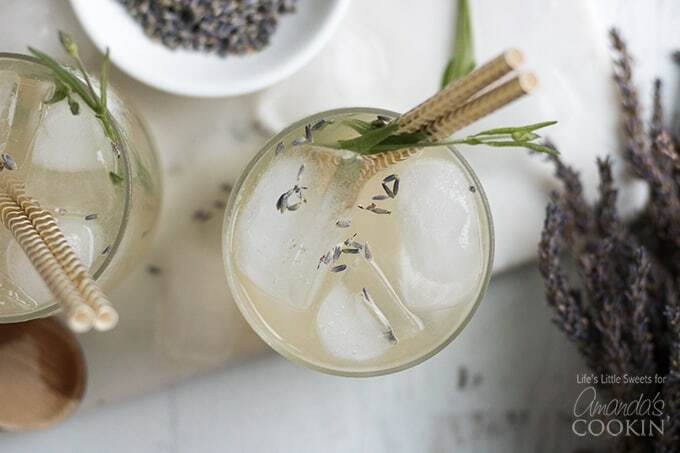 This Lavender Lemonade is made with freshly squeezed lemon juice then sweetened with a lavender-infused simple syrup. 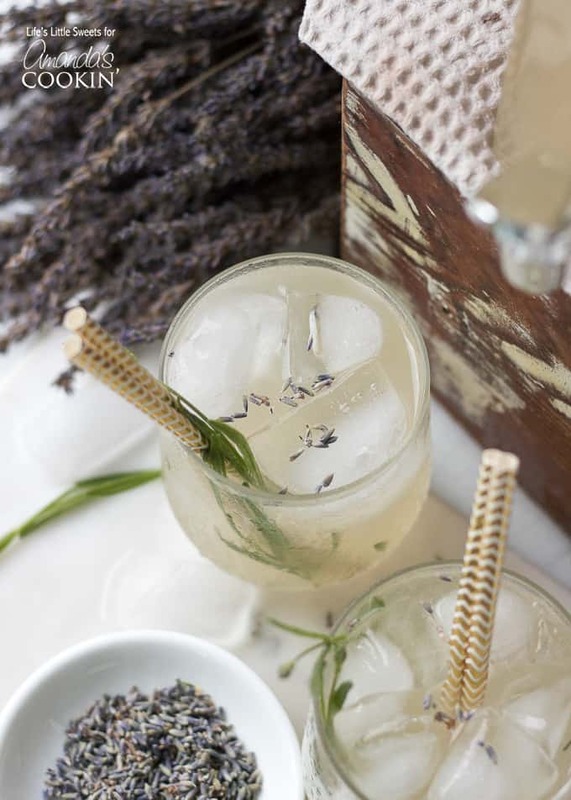 Garnish with food grade dried lavender flowers and a sprig of fresh lavender and you have yourself the ideal summer sipper! You can’t go wrong with a lemonade recipe this summer. 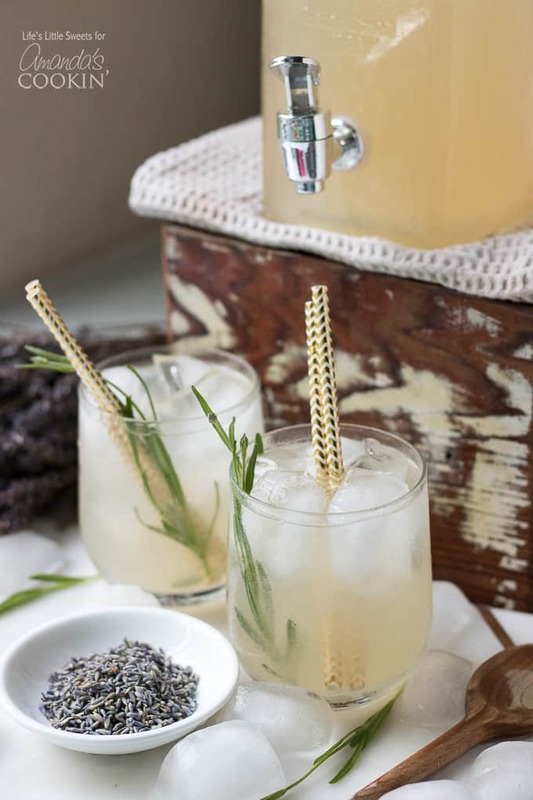 Bring this lavender lemonade along to your next BBQ or get together, or see our lavender rose spritzer for an adult-friendly lavender infused drink! 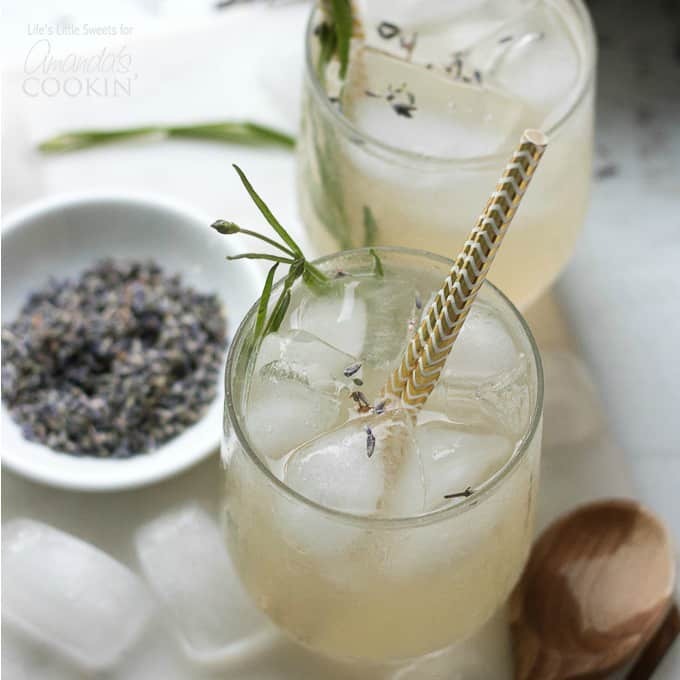 Hi Everyone, as we head into the warmer weather of summer, I implore you to give this Lavender Lemonade a try! 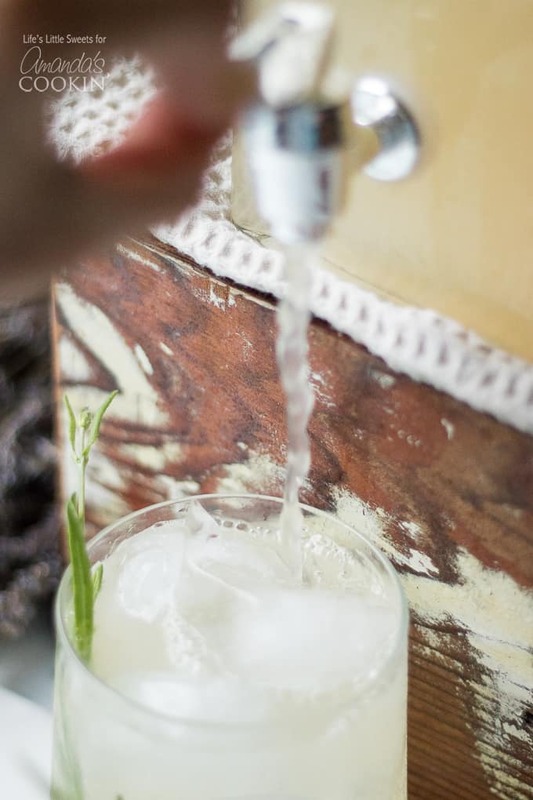 In this recipe, I use my Lavender Simple Syrup which gives the most subtle lavender essence. I can just imagine it being served at all those Summer holidays, gatherings, BBQs – you name it. You know what? 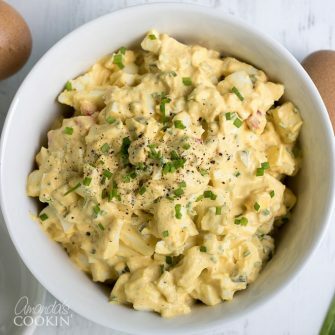 Just make it for yourself, you deserve it! 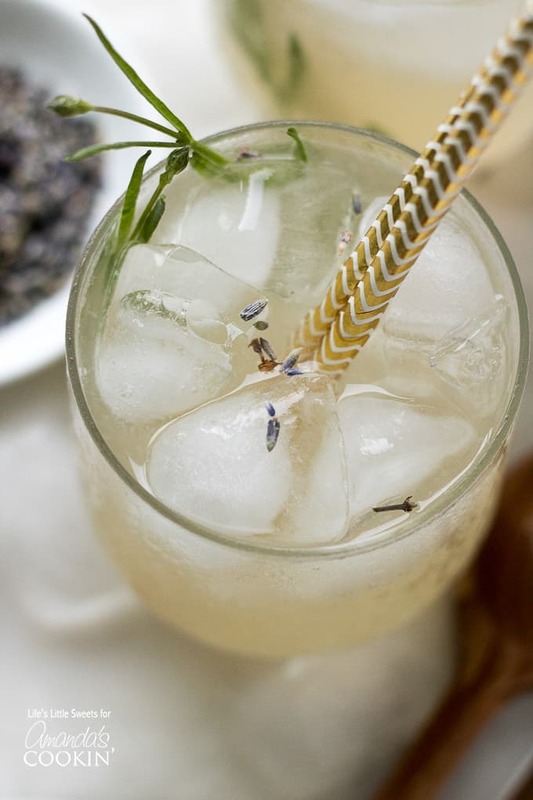 You can use food grade edible lavender flowers to make the simple syrup and to use as a garnish for the top. You can find them on Amazon here unless of course, you grow it. We grow lavender at our house and it will be blooming in June, the sprigs you see in these photos are the baby flower buds. I love the color of this lemonade, it’s almost the color of lemon curd, like a more opaque yellow which I think is due to the type of lemons but also the purple-grey color from the Lavender Simple Syrup. You could even blend this up as a Lavender Lemon Slushie which would be great for those hot days coming up. You can control the strength of the lavender simple syrup when it’s infused in the water; I recommend 10 minutes. 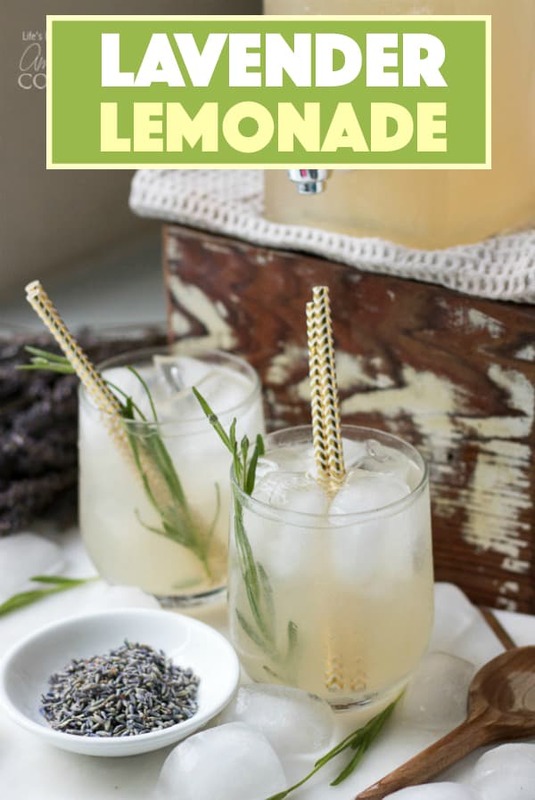 I know you will love this Lavender Lemonade, it’s my favorite! Want more summer drink recipes? Try these Wine Slushies, all you’ll need is some frozen fruit of your choice and a bottle of rose to enjoy this delicious summer concoction. Can’t forget our Raspberry Gin Rickey for a refreshing summer cocktail to enjoy with friends or family! Another favorite is this simple Strawberry Lemonade, which is another fantastic lemonade recipe that the whole family will enjoy. For a lemonade dessert, you’d love our Frozen Lemonade Pie! This pie is made from frozen lemonade concentrate, vanilla ice cream, and cool whip all atop a graham cracker crust. Seriously, does it get any tastier? 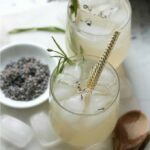 This Lavender Lemonade recipe is an iced drink containing fresh squeezed lemon juice and sweetened with a lavender-infused simple syrup. 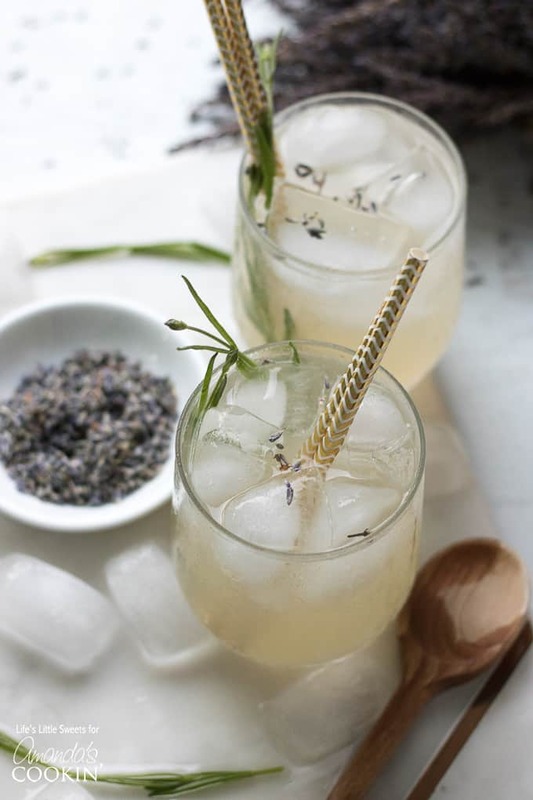 Garnish with food grade dried lavender flowers and a sprig of fresh lavender and you have yourself an ideal Summer sipper! In a small saucepan, bring 2 cups of water to a boil. When it's boiling, remove from heat and drop in the lavender flowers inside a mesh tea infuser. Let steep for 10 minutes, then remove the infuser and discard the flowers. Add 1 cup of sugar to the water and stir until dissolved completely. Allow mixture to cool. In a pitcher, add 1 1/2 cups lemon juice, the lavender simple syrup and 4 cups of water. Mix until combined and adjust to your tastes. Serve with ice and optional fresh lavender sprigs, enjoy!